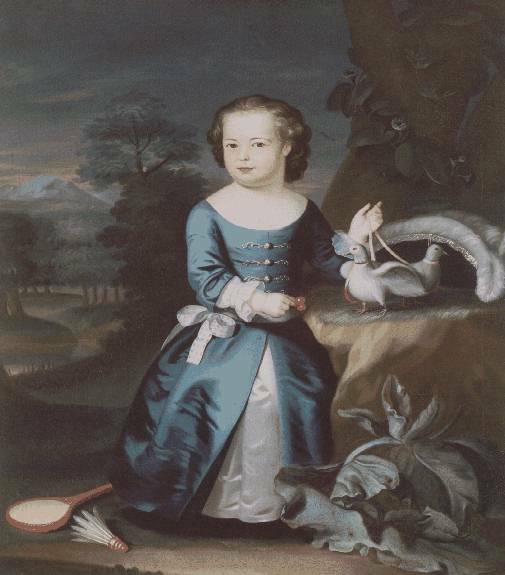 Eager to expand his reputation beyond New England, Copley sent his Boy with a Squirrel in 1766 to the Society of Artists in London. It was praised by both Sir Joshua Reynolds and by the transported American artist Benjamin West, who urged him to come to London. He did so in 1774 and painted his first important work, Watson and the Shark , there in 1778. In this painting Copley used what became a frequent theme of 19th-century Romantic art, the struggle of humans against nature. Although he remained in England the rest of his life and was moderately successful, his historical paintings never had the vitality or realism of his Boston portraits. Copley died in London on Sept. 9, 1815.